Sponsored by Smithfield. 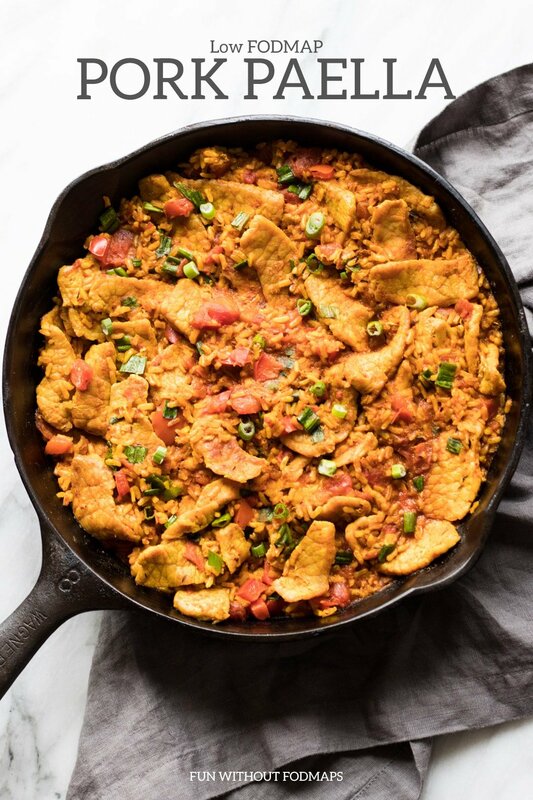 This satisfying one-skillet Low FODMAP Pork Paella is perfect for an easy weeknight meal! It’s made with 10 flavor-packed ingredients in just 30 minutes and features versatile, all-natural Smithfield Prime Fresh Pork. 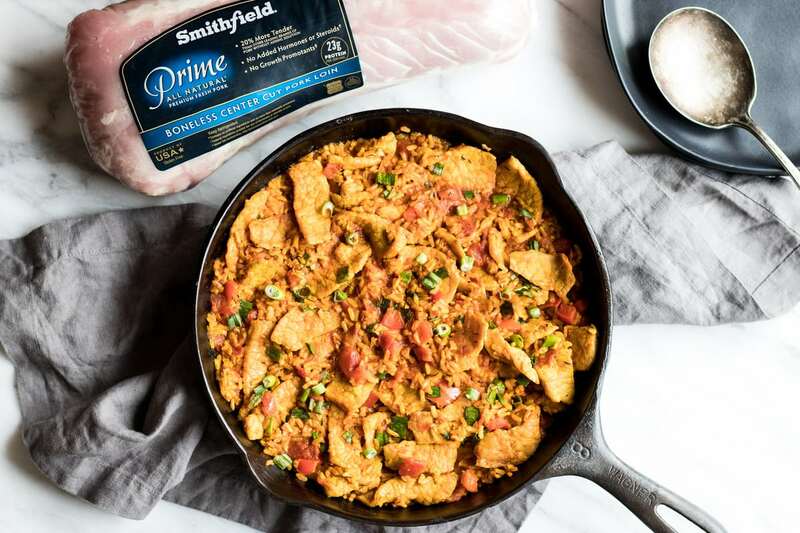 Today, I’ve teamed up with my friends at Smithfield to “shake things up” this holiday season and share a delicious twist on classic paella using a household favorite, Smithfield Prime Fresh Pork. 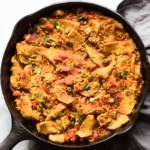 Calling for just one skillet, ten flavor-packed ingredients, and a half an hour, this low FODMAP Pork Paella recipe is perfect for an easy weeknight meal or holiday entertaining. It also makes enough to serve a crowd or save extras for leftovers. Hooray for paella! If you’re not familiar, paella is a yummy rice-based dish coming from the Valencian region of Spain. 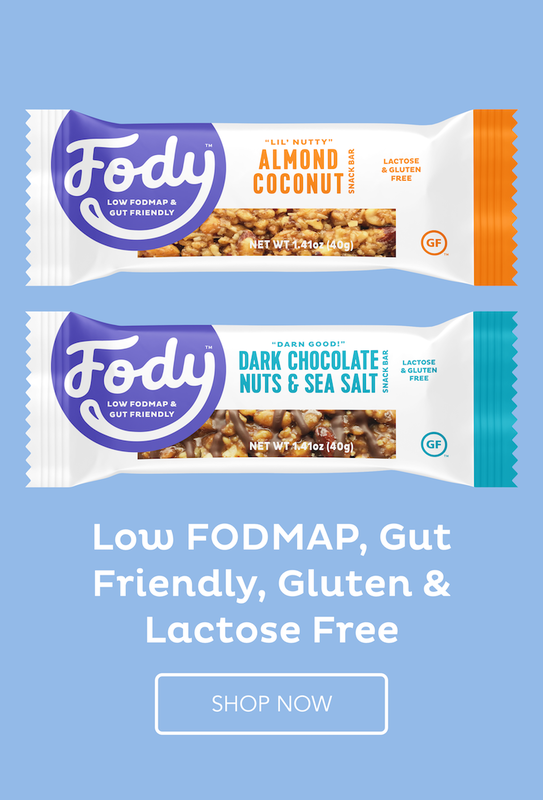 There are countless variations, however, almost all contain rice, veggies, and some source of protein. To add my own delicious and nutritious twist on paella, I’ve opted to use whole-grain brown rice, FODMAP-friendly veggies, and all-natural, protein-packed Smithfield Prime Boneless Fresh Pork Loin. Typically when I think of pork loin, I think of it roasted whole in the oven. However, Smithfield reminded me how incredibly versatile fresh pork can be, especially when it’s sliced, diced, or cubed. Cutting decreases cooking time and makes it super easy to add pork loin into a variety of dishes for an added boost of lean protein. 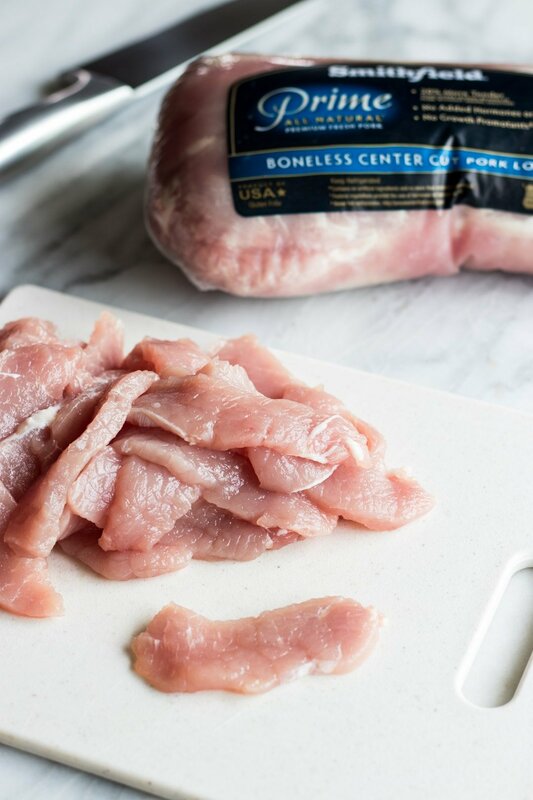 If you’re looking for something other than pork loin, Smithfield Prime is also available in a wide variety of other fresh, hand-trimmed pork cuts including tenderloins, boneless chops, roasts, and more! All of their high-quality products are extra tender and juicy, with increased color and marbling, plus they’re all-natural and made from 100% fresh pork. That’s why Smithfield is a go-to for a delicious meal in my kitchen and many others! Minnesota friends, you can find Smithfield Prime Fresh Pork at your local Cub Foods and Hornbacher’s. For more product information and recipe inspiration, visit Smithfield.com. 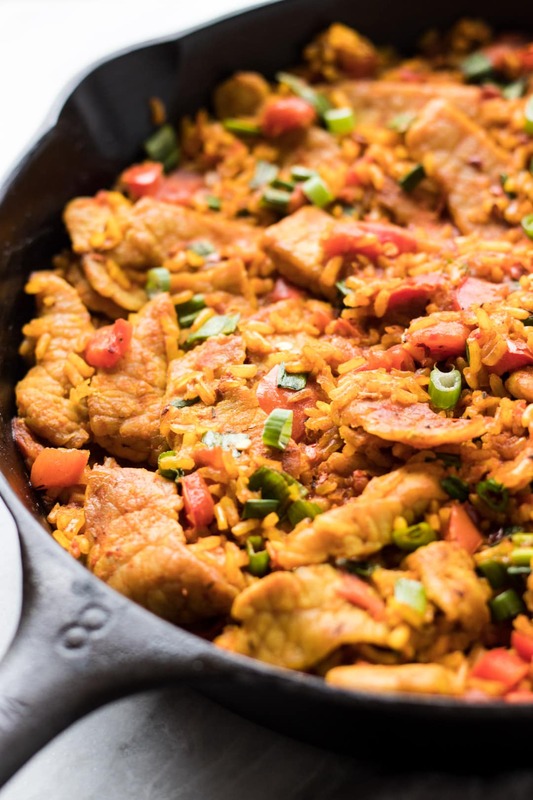 This satisfying one-skillet Low FODMAP Pork Paella is made with 10 flavor-packed ingredients in just 30 minutes – perfect for an easy weeknight meal! Heat garlic-infused olive oil in a large skillet over medium-high heat. Add strips of Smithfield Prime Boneless Fresh Pork Loin and cook until almost done, about 8 minutes. Stir in diced red bell pepper and saute for 2 minutes more. To the skillet, add brown rice, broth, diced tomatoes, paprika, turmeric, and thyme. Stir to mix. Bring mixture to a boil. Reduce heat to medium, cover, and simmer for 12 minutes, stirring occasionally. Remove cover and stirring occasionally, continue to simmer for 5 more minutes or until liquid is almost completely absorbed. Stir green onions into the paella mixture with a fork. Serve warm topped with optional garnishes. Chicken Broth: Use broth without onion or garlic for low FODMAP. Click here for my slow cooker broth recipe. Disclosure: This is a sponsored post written by me on behalf of Smithfield Prime Fresh Pork.